On Tuesday I had the privilege of visiting Stitcher’s Crossing in Madison. Stitcher’s Crossing stocks merchandise for both knitting and crocheting as well as sewing. I hadn’t been to this fabric store in eons. 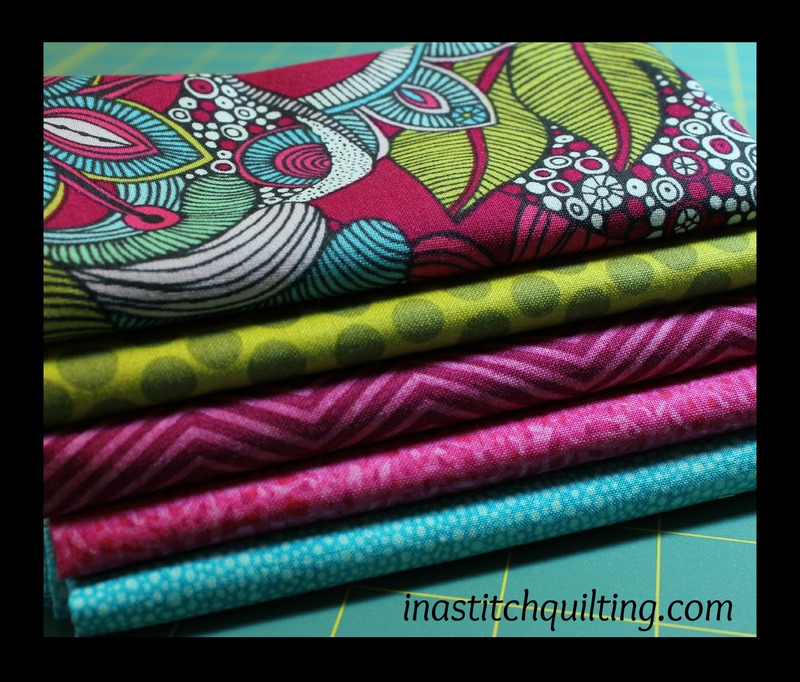 While in attendance at a recent sewing day I heard mention of the fabric store in more than one conversation. Not having been there for probably more than five years my curiosity was stirred. I found inspiration in a delightful mix of fabrics. Carried home in my shopping bag were these nine fat quarters. Exactly what they will become I do not know. For now they are seed fabric for future projects. While browsing the bolts of fabric I spotted an inventory of quilting books. Grabbing my attention were two books I found rather inspiring. The first to tickle my fancy was Out of the Box with Easy Blocks: Fun with Free-Form Piecing (That Patchwork Place) . I instantly took a liking to two of the featured quilts. One was called The Purple Cow and the other was a chicken. I could totally see myself stitching both of them. Those two were not the only quilts I liked, they just happen to be my favorites. I could entertain myself with many of the patterns found in the book. The second one grabbing my eye was Freddy & Gwen Collaborate Again: Freewheeling Twists on Traditional Quilt Designs . This was my favorite discovery. I instantly felt drawn in by the concepts expressed in this book. It was like bumping into an old friend. Although I did not purchase either of the books at Stitcher’s Crossing they most definitely will be added to my wish list. Well that’s it for today. Come on back next week for another visit! Oh, I love the fabric you picked up – so pretty! Beautiful fabrics!! I always feel like I am color challanged when choosing fabrics. But I’m working on overcoming that. I also struggle with how much to buy when I don’t have a project in mind. 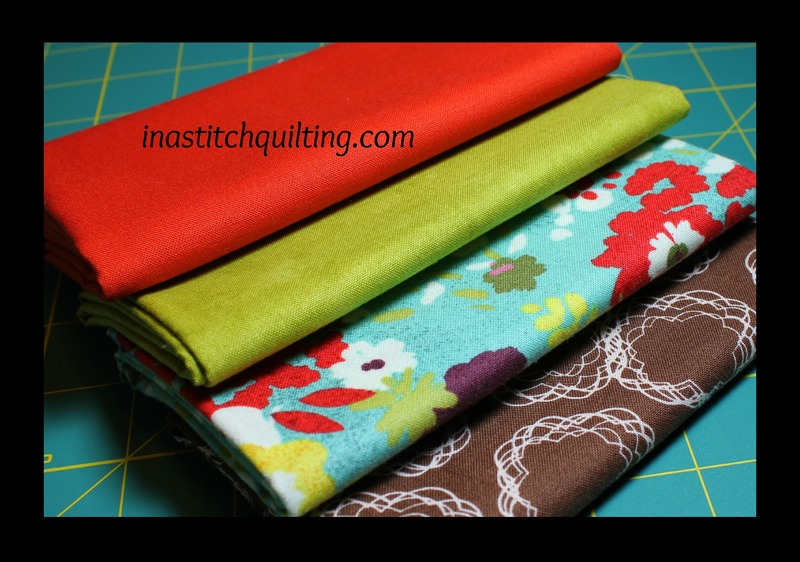 I would like to get “enough to do something with” so I usually end up getting 1 – 2 yards of 2 different patterns. Now with that much yardage I have “enough”. LOL Thanks for sharing this today, maybe I will start picking up several different fat quarters instead of so much of one or two only…. Hmmmm…. something to think about.